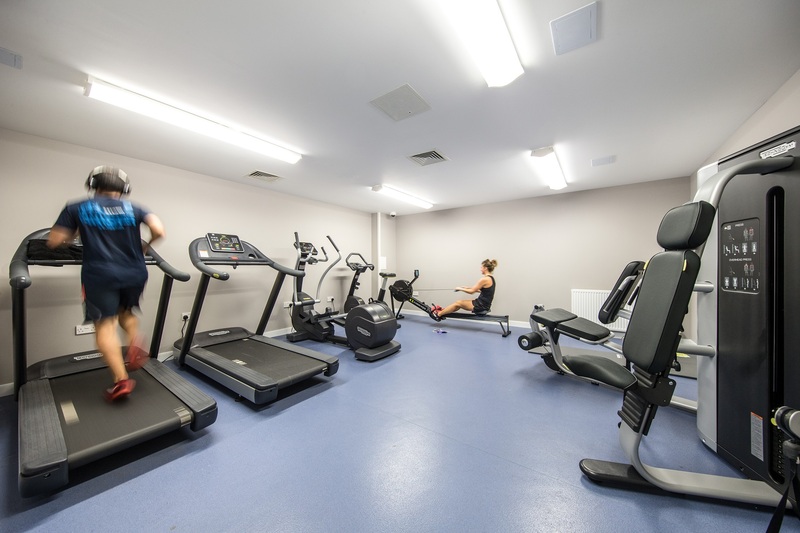 You’ll be spoilt for choice at Haddington Place; just a short walk from the city centre, whilst with an on-site gym and cinema room on-site, you might decide that staying in is the new going out. 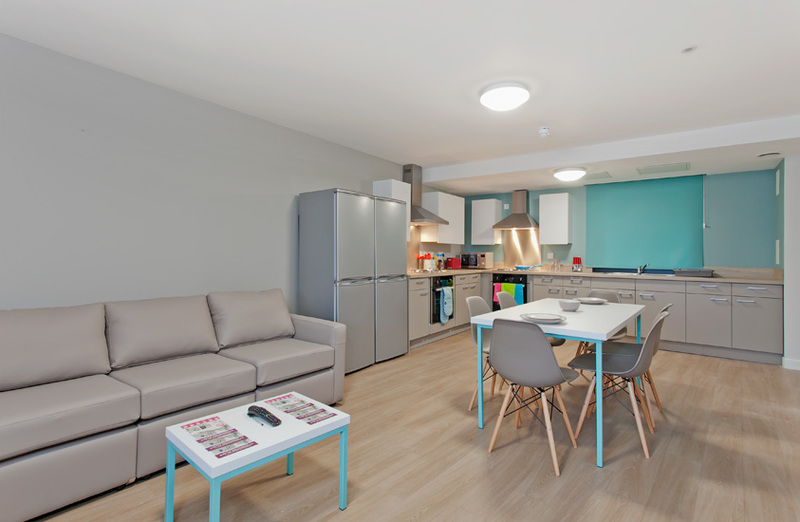 This sought after accommodation comprises of 240 stylish student studio flats all with double beds, designated study areas and plenty of storage. 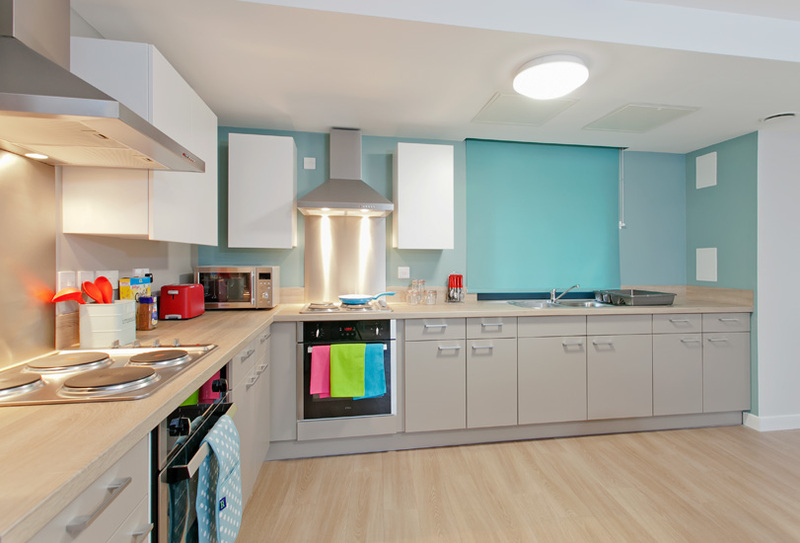 With a variety of room types and sizes available there is something to suit all needs and budgets. 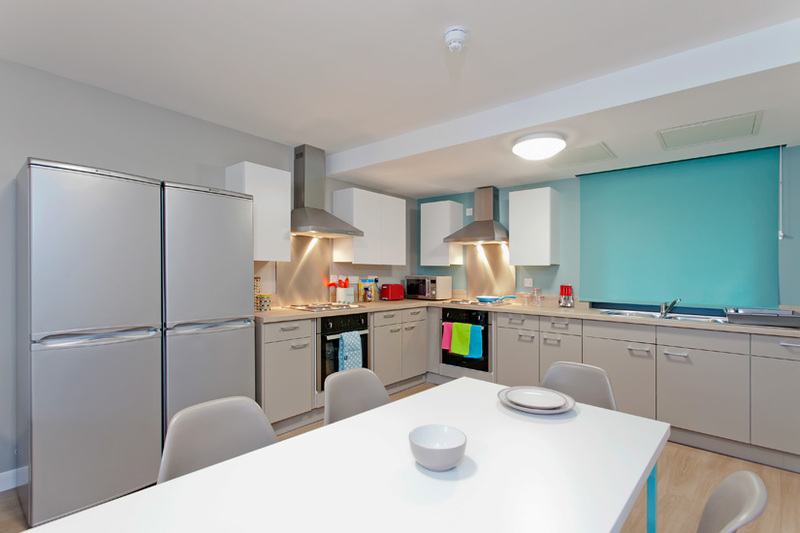 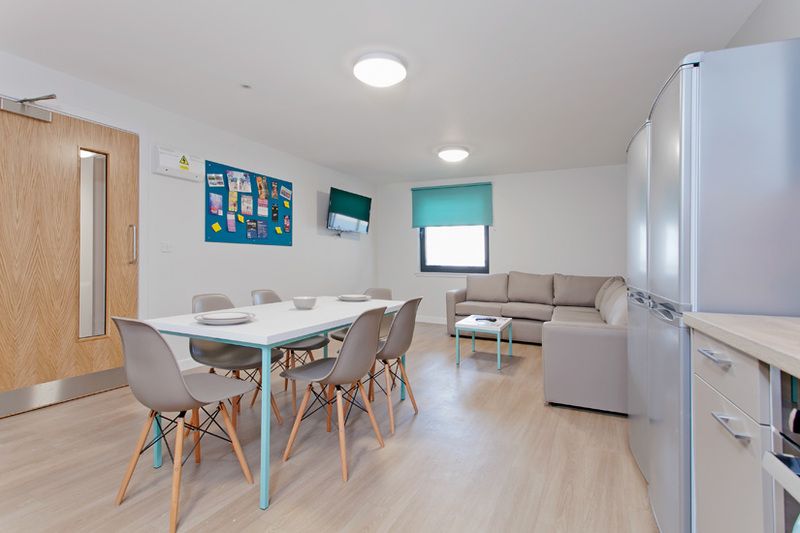 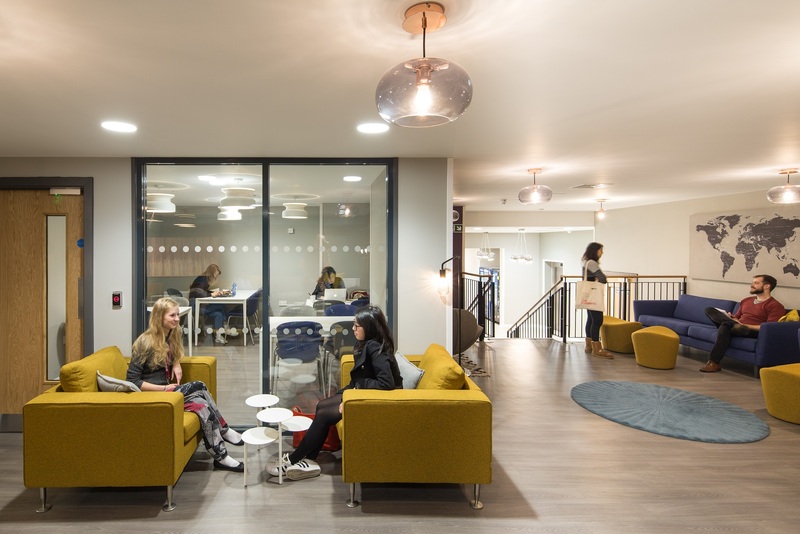 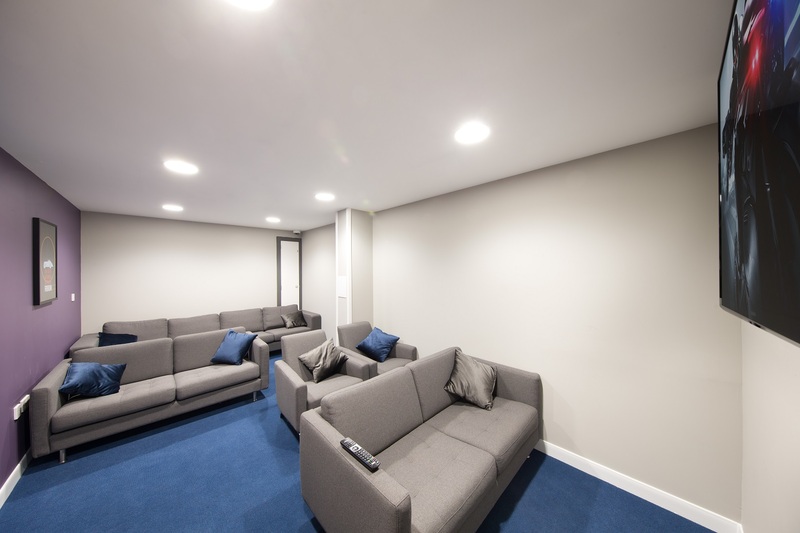 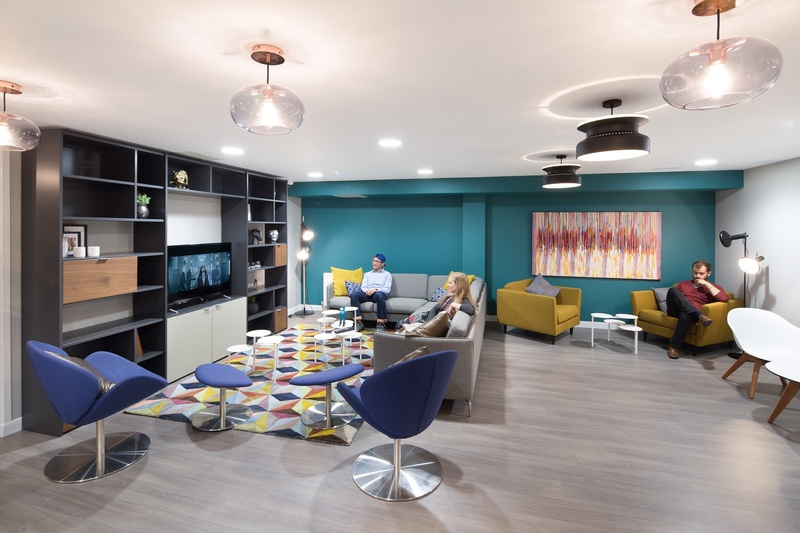 Students living in a studio will benefit from a kitchen and dining area whilst the cluster flats offer students a chance to socialise in the shared kitchen and lounge area. 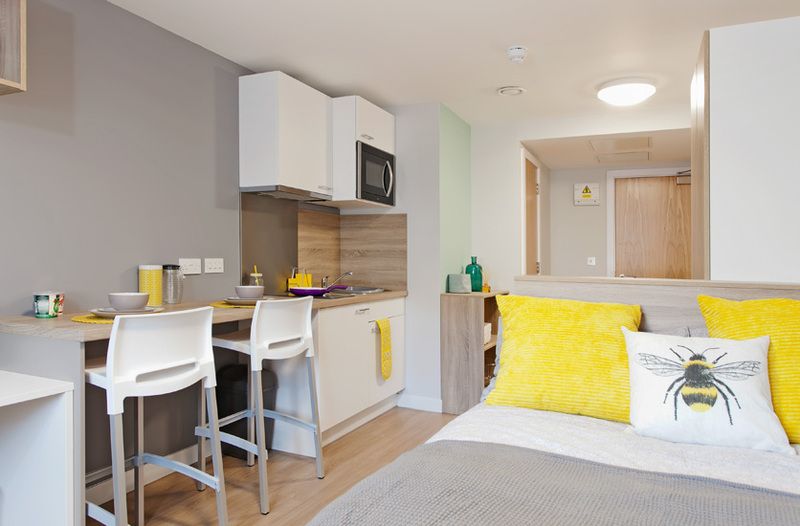 For those who like a room with a view, all higher level rooms have views across to the Firth of Forth (River Forth’s estuary) and parts of the city, but these do get booked very quickly. 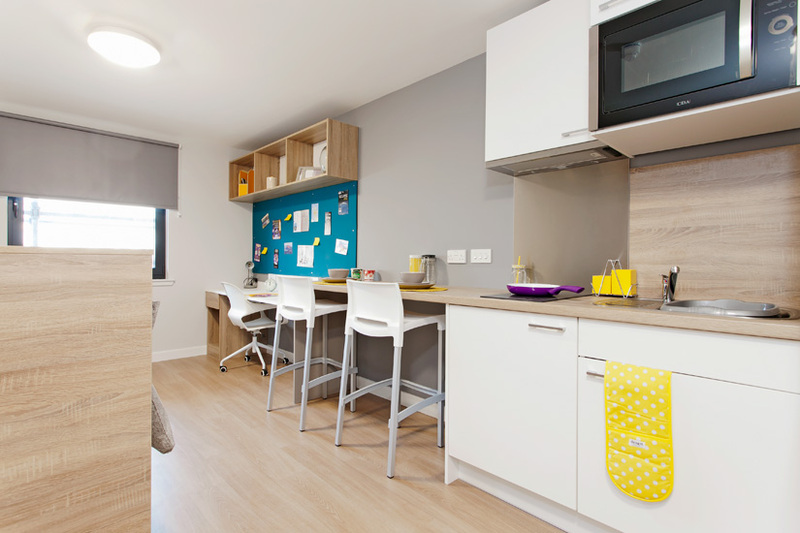 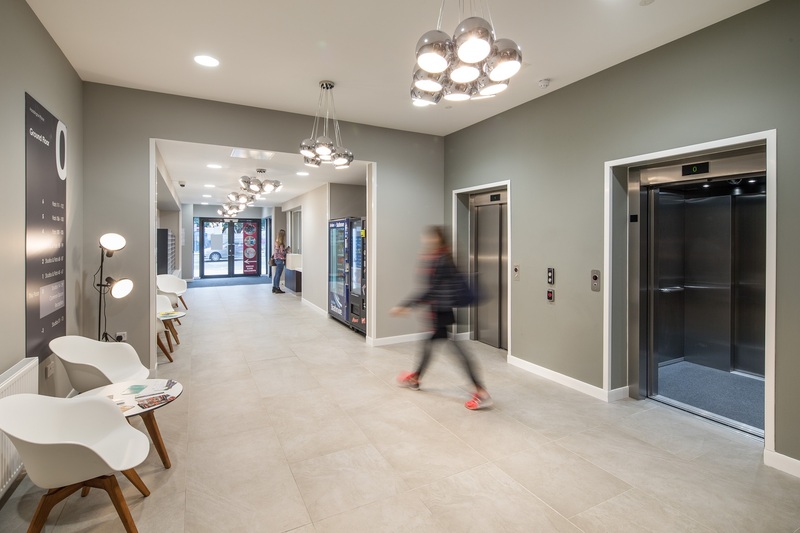 The accommodation is perfectly located to connect you to everything Edinburgh has to offer; the city centre is less than a 10-minute walk away whilst the University of Edinburgh’s main campus is less than a twenty minute walk from Haddington Place. 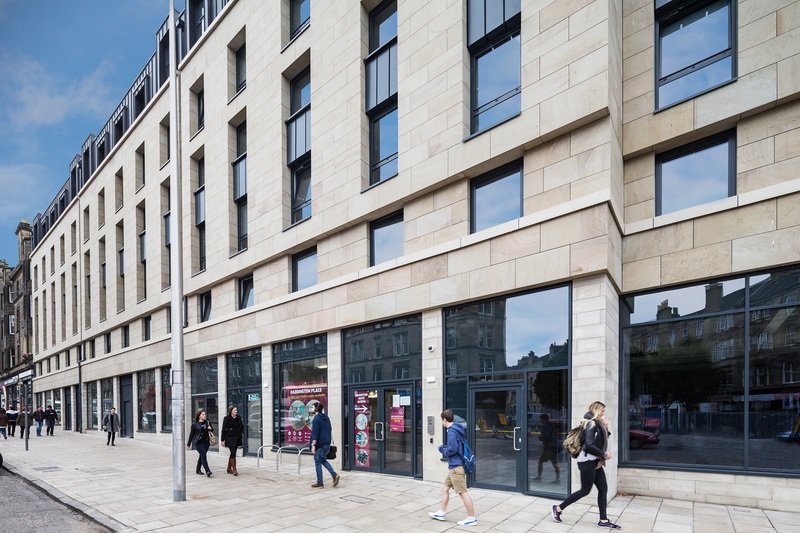 There are excellent bus services on the doorstep connecting you to many parts of Edinburgh and the University. 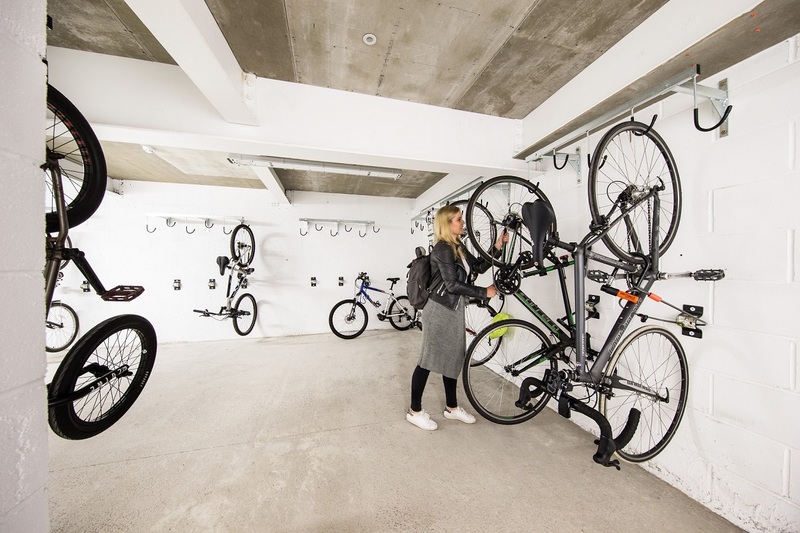 However, you may opt to join your fellow students on two wheels; cycling to the city centre and to the universities is a popular choice as Edinburgh has a great cycle network and Haddington Place offers secure bike storage so there’s really no excuse not to bike! 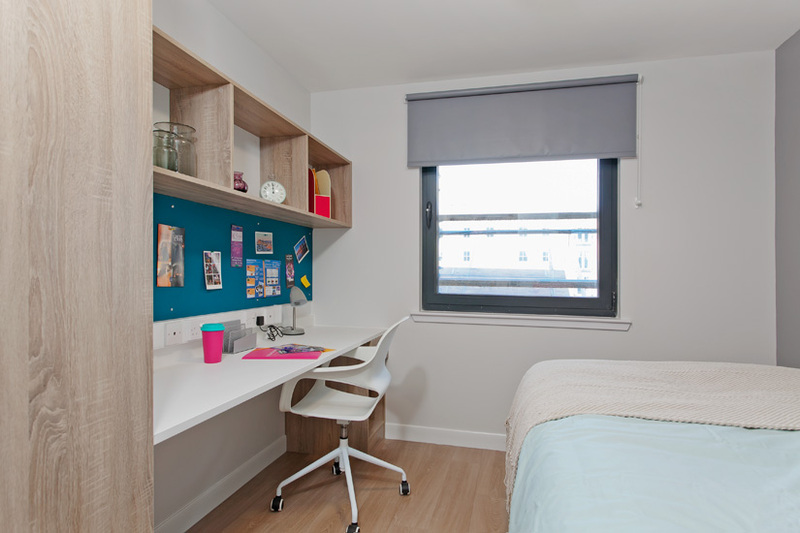 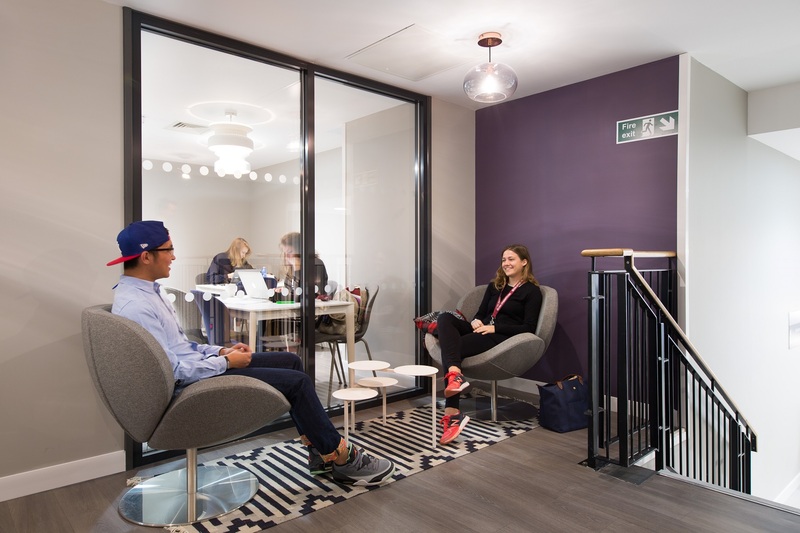 Some of our accommodation include contents insurance with Endsleigh, the No.1 student insurance provider. 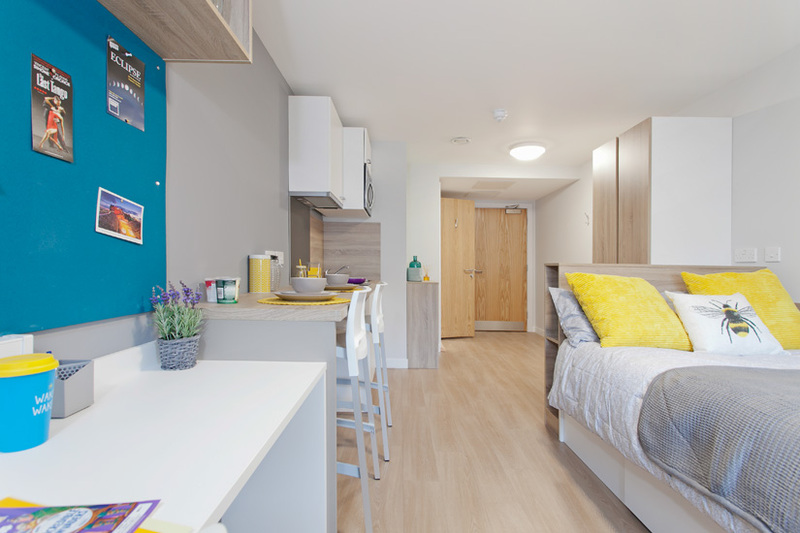 Please check with the appropriate accommodation team to find out if this applies to your accommodation. 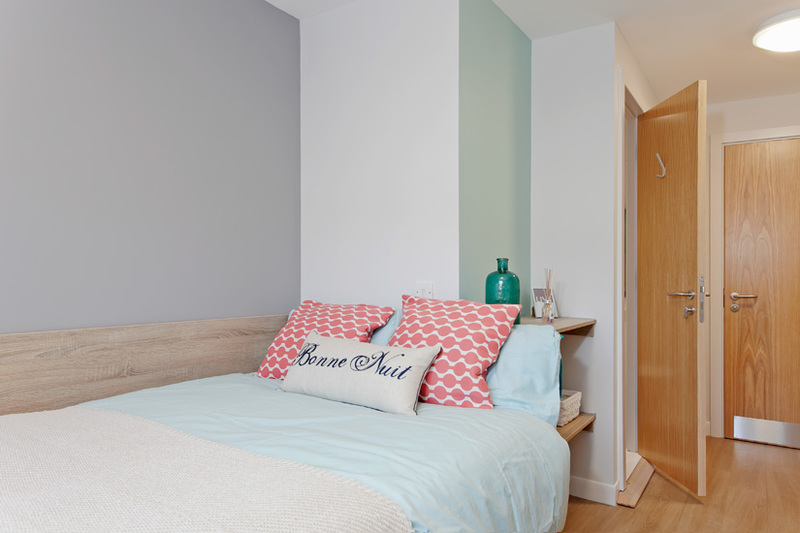 This cover does not protect laptops and phones or other items when you are outside your room. 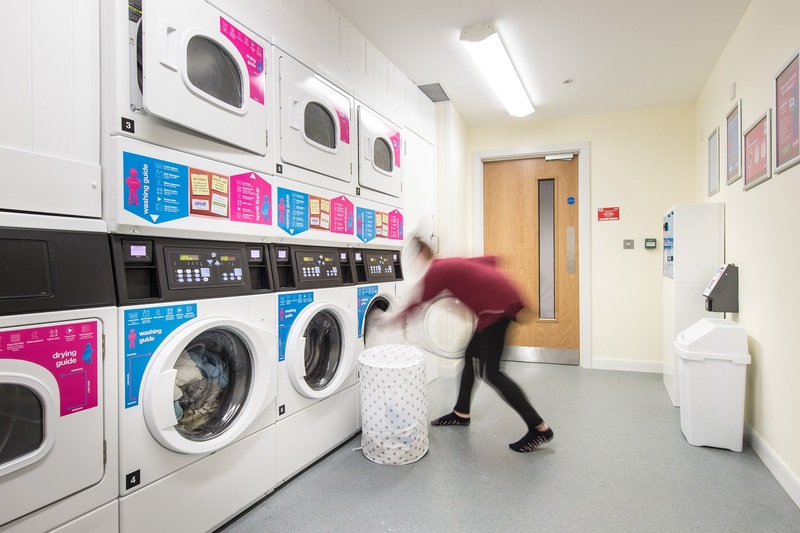 It is important for you to check this cover, so please follow the steps below to ensure you fully understand the protection provided.